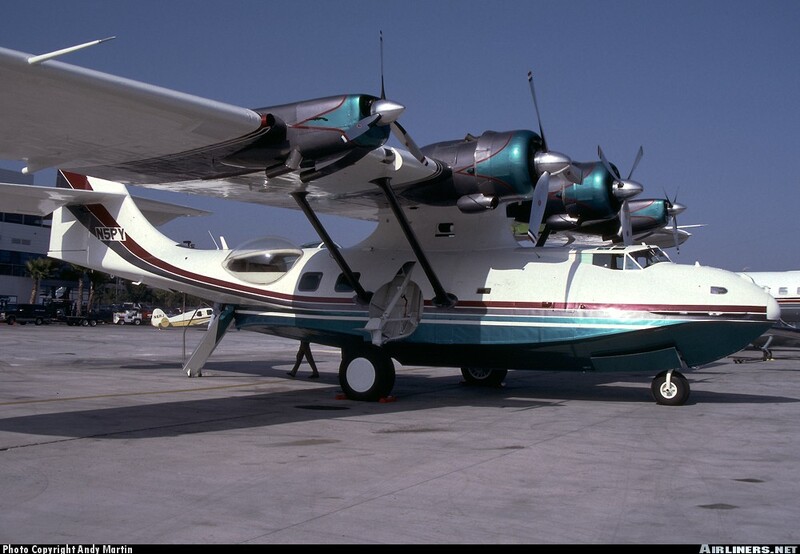 N5PY is a Consolidated PBY-5A built in November 1941 at the Consolidated Aircraft Factory in San Diego, California. 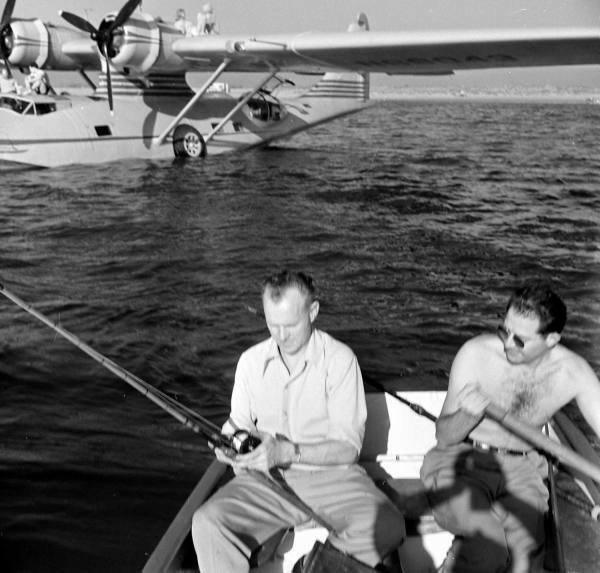 Assigned Serial Number 417, the aircraft was built under contract for Canada as a Canso. Delivered to No. 162 Squadron of the Royal Canadian Air Force as Canso 9746, She patrolled the Canadian East coast and served on convoy duty between Iceland and Canada. 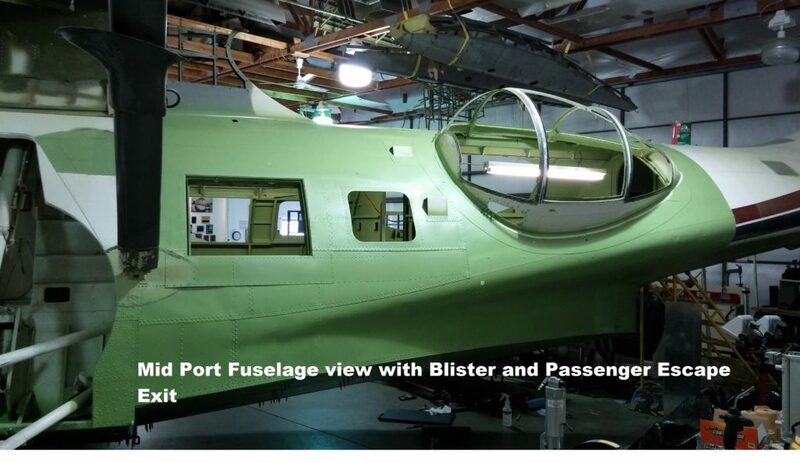 Bought post war by Southern California Air Service of Ontario California, S/N 417 was converted to a 28-5ACF (Standard Airworthiness Certificate) and underwent a complete refit with the conversion to the full LandSeAire configuration. 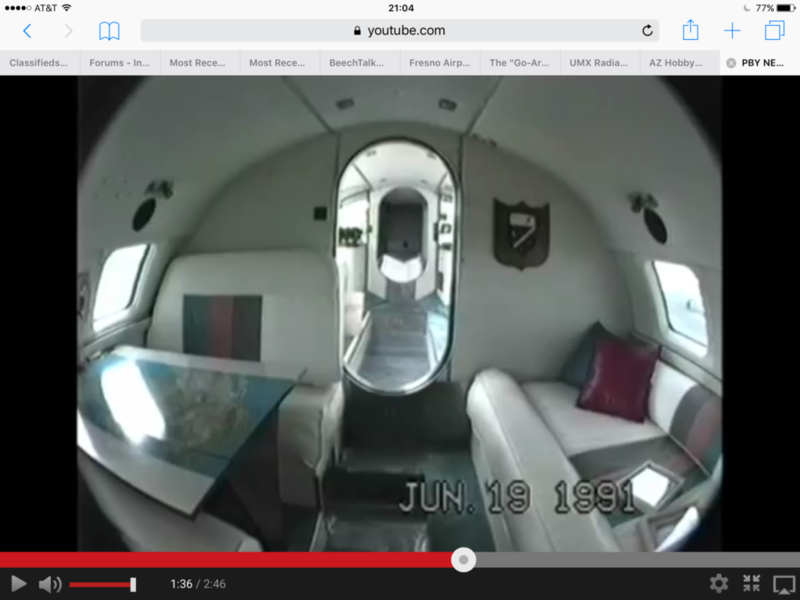 This conversion included the installation of Pratt and Whitney 1830-94 engines of 1350 horsepower with paddle blade propellers, airstair door, Vista Lounge Blisters, FAA required emergency escape hatches and a custom interior for seventeen passengers with a Galley, Lavatory and Shower. 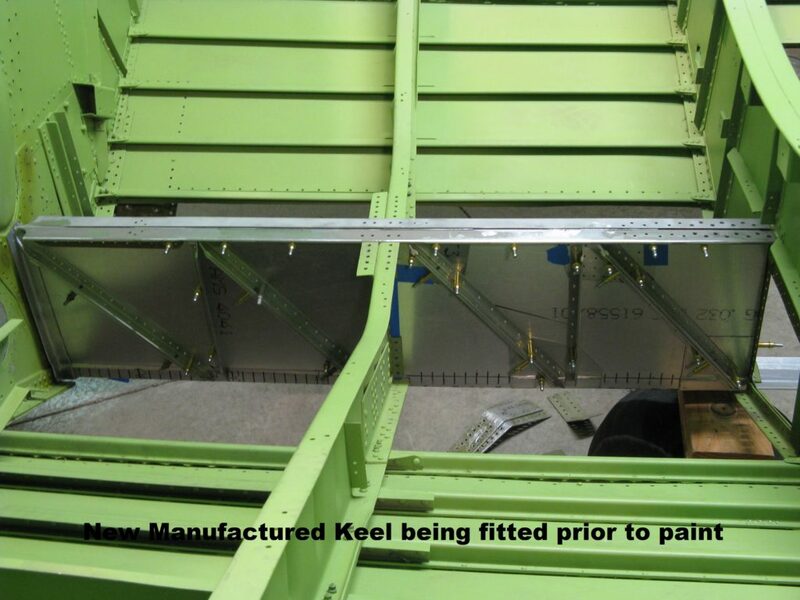 The two auxiliary under wing boats option was also included. 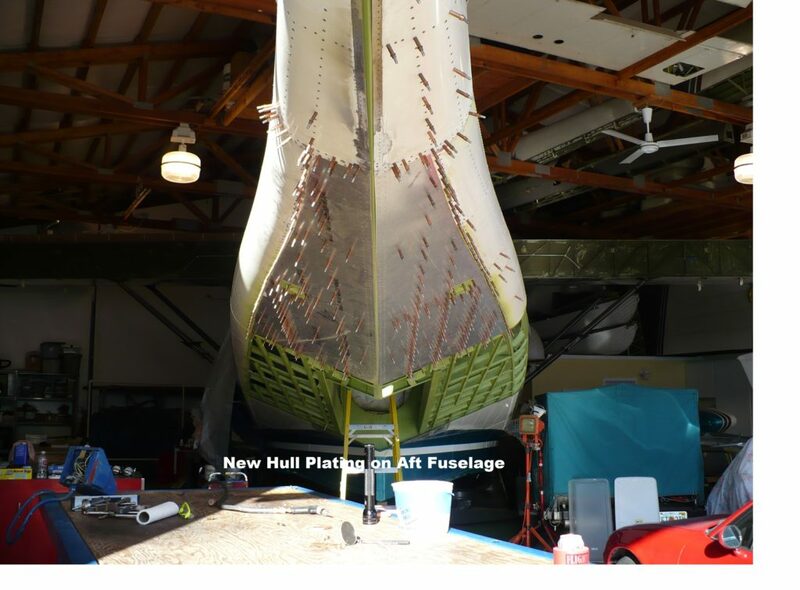 The aircraft was further upgraded by previous owners with the installation of a Super Cat Rudder, Metalized Trailing Edge Wing Sections and Boosted Aileron Tabs. 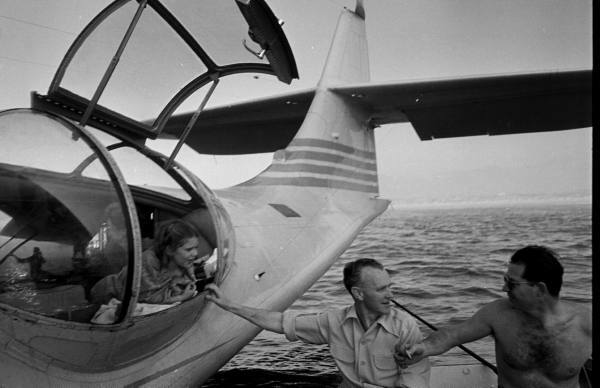 In the late 1960's, Dr. Forrest Bird operated the aircraft as support for his medical product program. 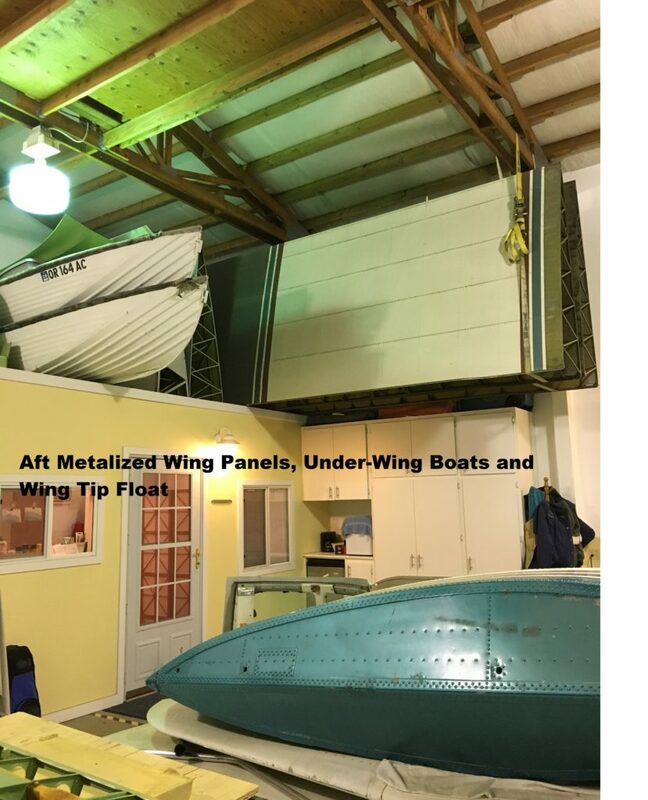 Dr. Bird performed an extensive airframe and engine overhaul and installed by STC, two Lycoming GO-480 engines and auxiliary fuel bladder tanks in the outboard wing panels. 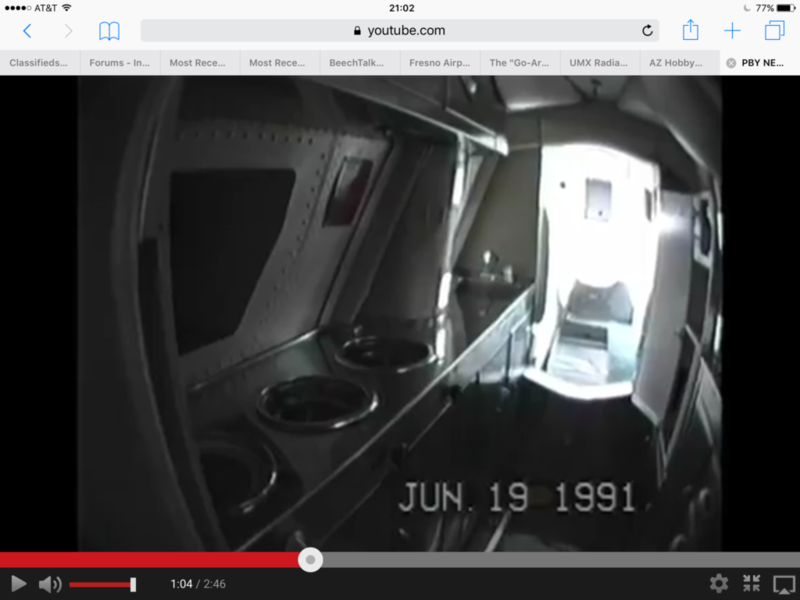 This four engine conversion was known as the Bird Innovator. 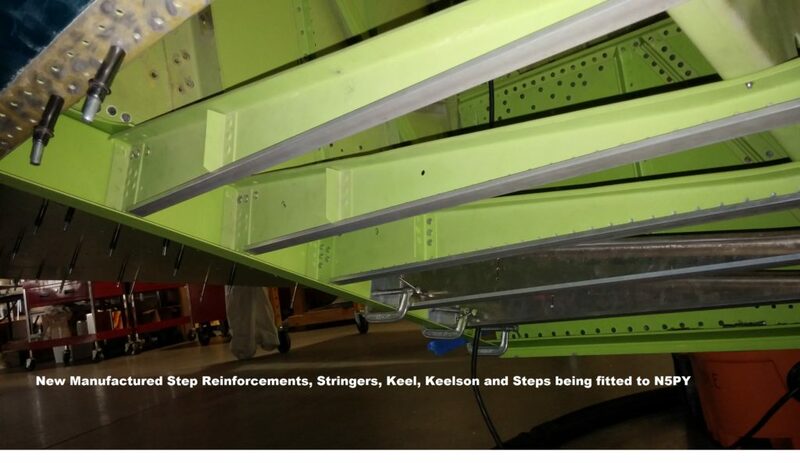 While the additional engines increased the cruise speed by approximately 20 Knots, the additional weight of the conversion increased the aircraft empty weight by over 5,000 pounds. This increase put the aircraft more than 2,000 pounds over the Navy's maximum weight for safe water operations. 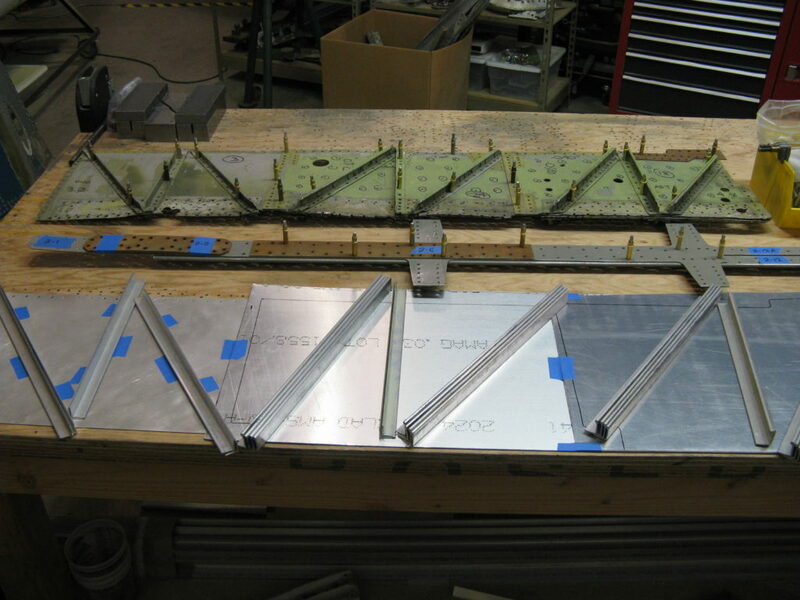 Contrary to some suggestions, the angle of incidence of the wing and horizontal surface were not changed during the conversion. 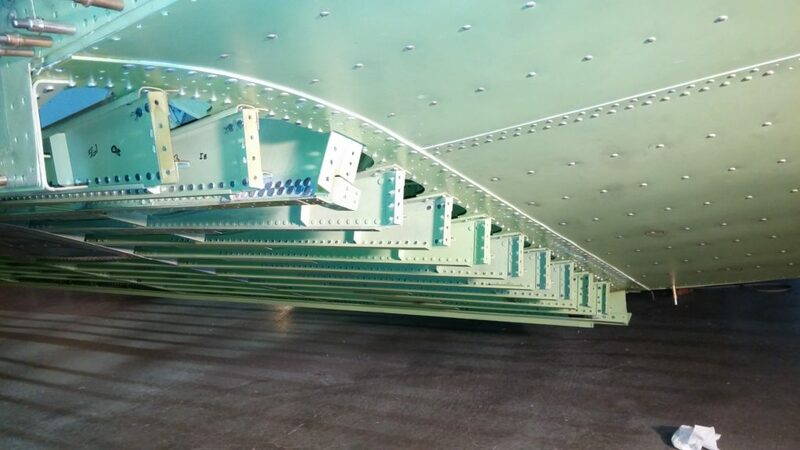 This was verified by actual measurement using original Consolidated factory drawings. 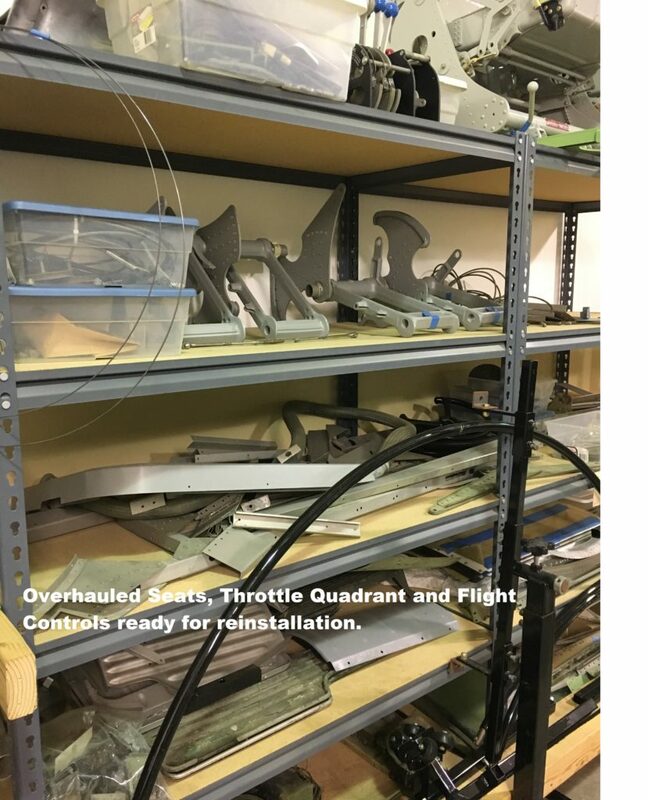 The current Owner, during a conditional inspection, decided that a restoration program was due and that the Bird Innovator four engine conversion STC would be removed. Removal of this STC would return the aircraft to an operational weight that would allow a greater margin of safety during water operations. 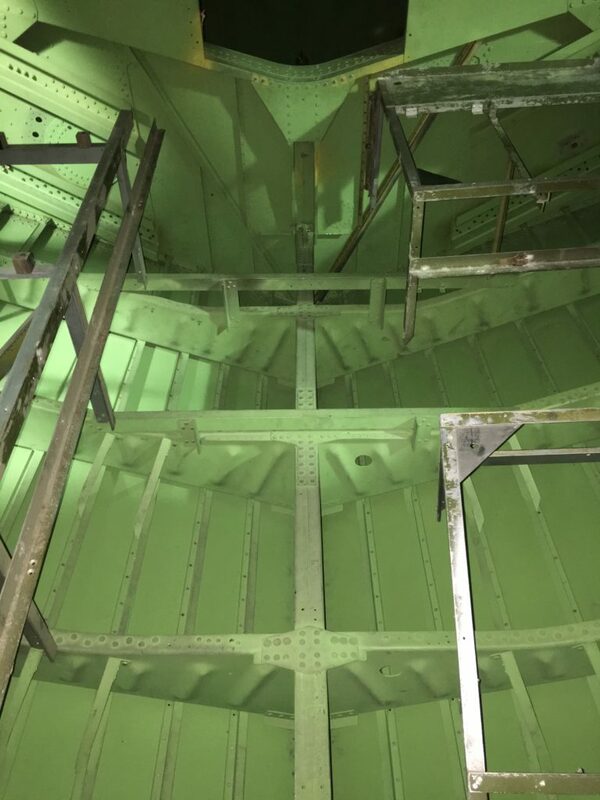 This restoration, to date, has included a complete rebuild of the bow and cockpit sections, extensive repair to the fuselage pylon structure, inspection and repair to the aft fuselage section and a complete remanufacture of the Keel and Keelson from bow to stern. 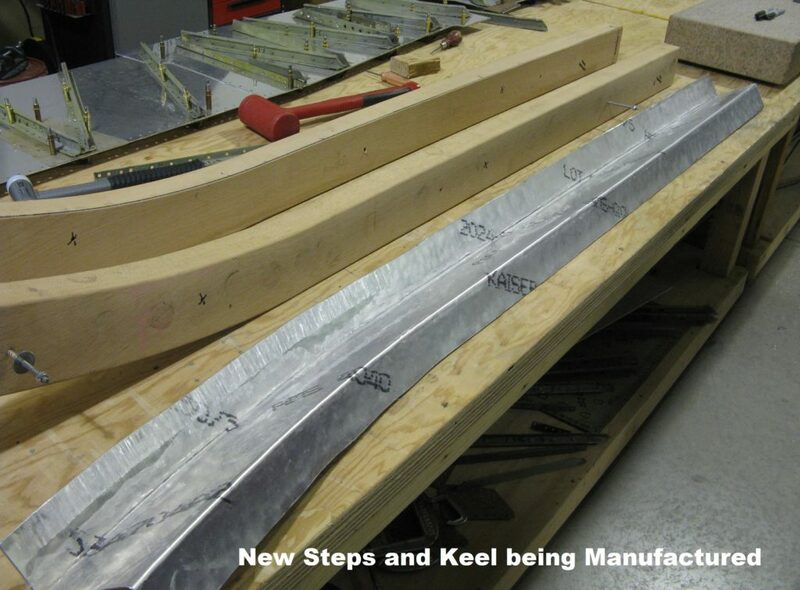 New Keelson's and stringers were extruded. 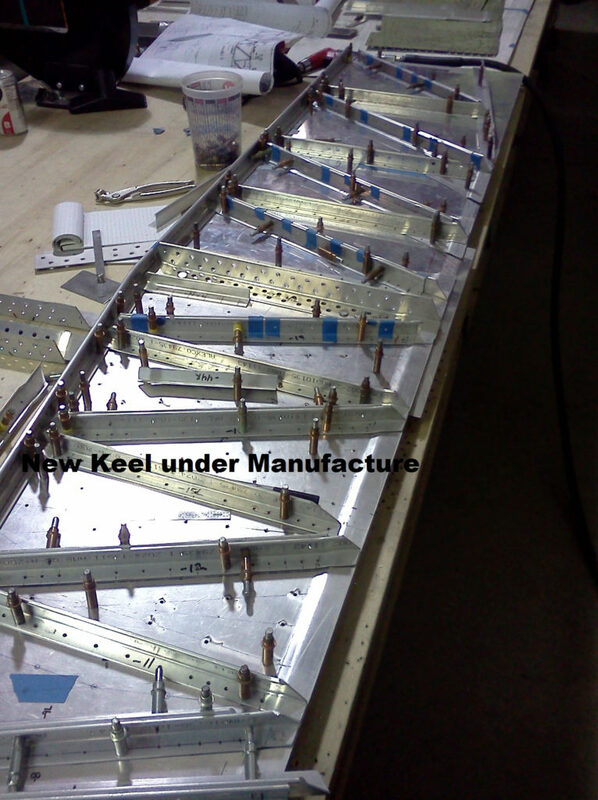 The step and step formers are new manufacture. 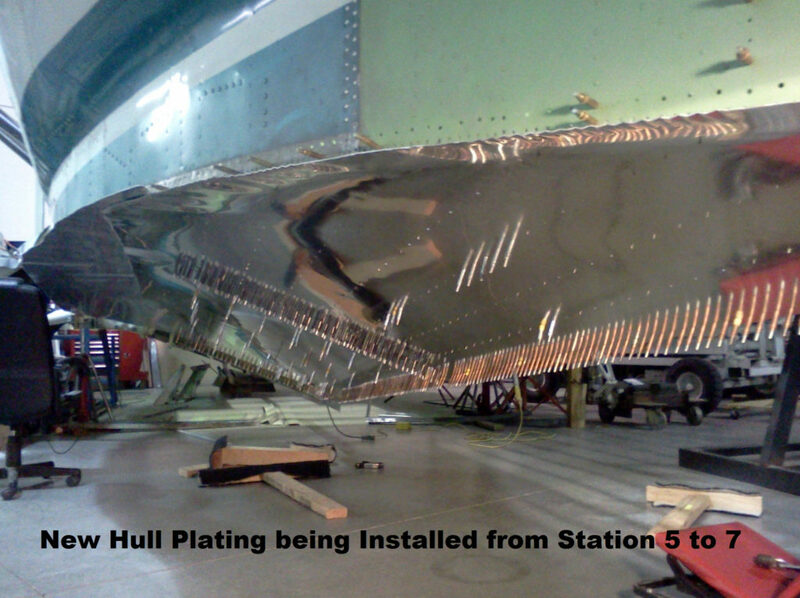 New bottom hull plates were installed along the entire lower hull. All Extrusions and Metal are of new manufacture with proper heat treating and documentation. Parts have been manufactured using original Consolidated drawings. 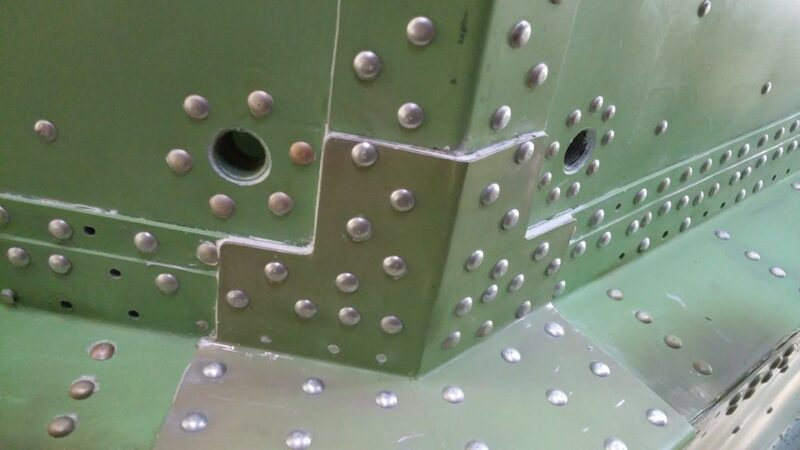 Individual parts were cadmium plated or anodized, painted with an aircraft approved fluid resistant epoxy and installed with new fasteners of the proper specification. 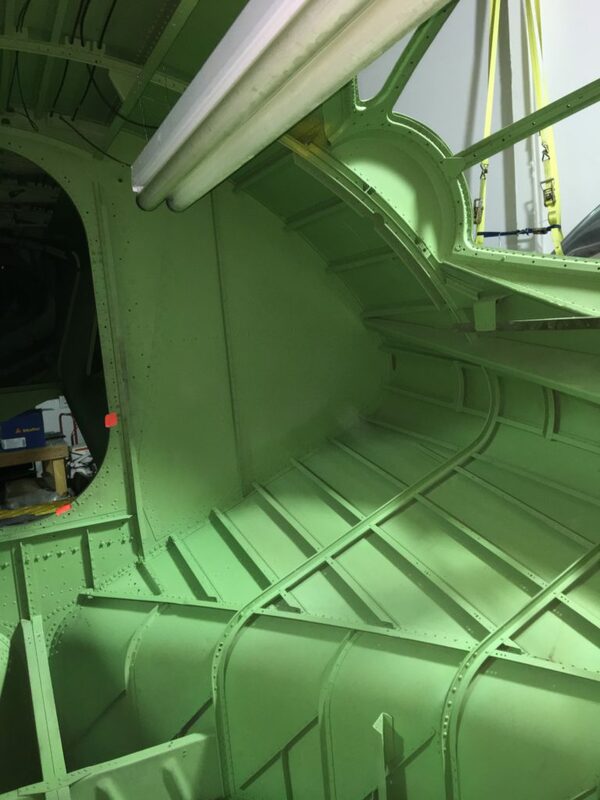 At the start of the restoration, the Pratt and Whitney engines were preserved according to manufactures procedures. Radios: Dual King KX-155 NavComs with indicators, one with Glideslope, One KT76A Transponder, One KR 87 ADF with indicator and One KMA 24 Audio Panel. 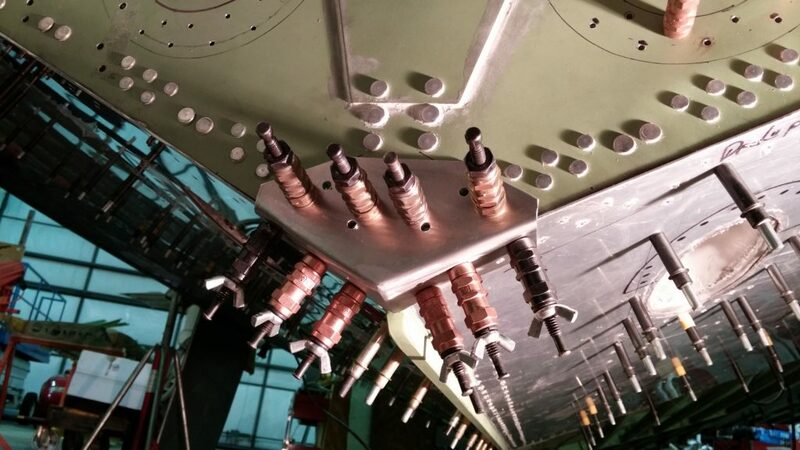 An extensive spares package including New Nose and Main Wheel assemblies, Overhauled Brake assembly, New Exhaust assemblies, Cowl Flaps, Hydraulic Components, Original Engine Service Platforms, Aircraft and Propeller Lifting Cables, Floats, Float Sponsons and many miscellaneous items has been assembled. All times and specifications subject to verification. 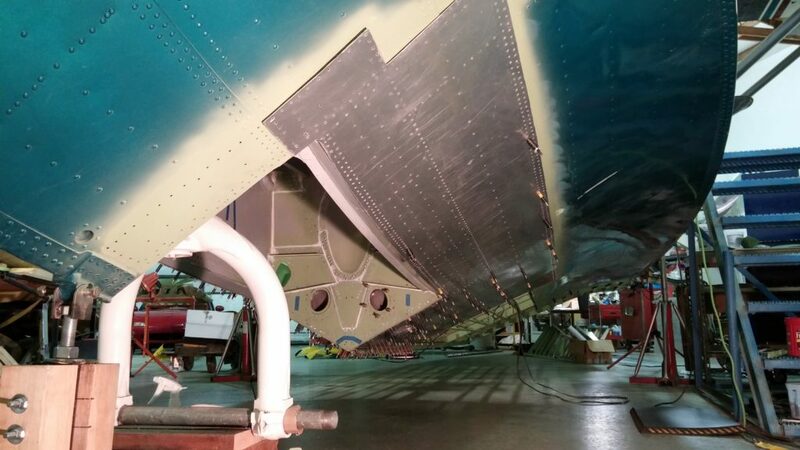 N5PY is currently stored inside our heated restoration facility with the outboard wing panels and tail components removed. 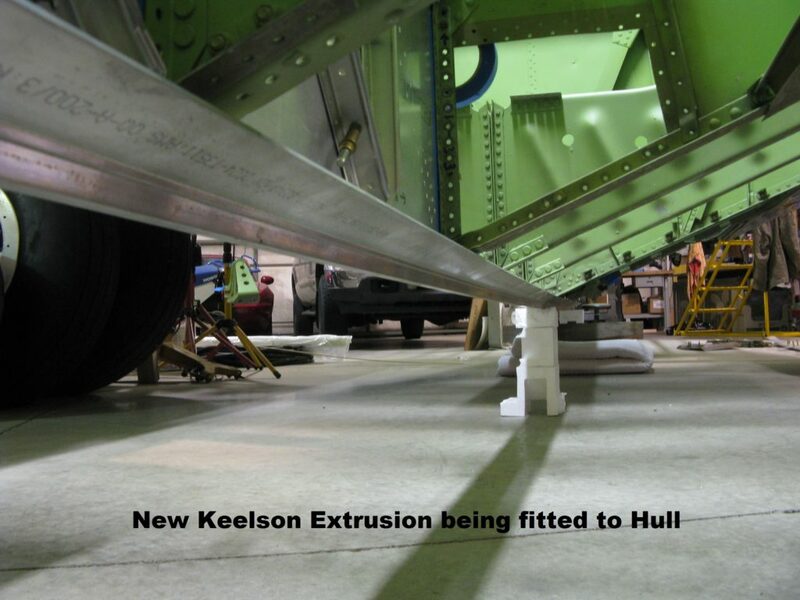 The sheet metal restoration of the aircraft fuselage and pylon section is complete with a new Keel, Keelson, Step and hull plates installed. 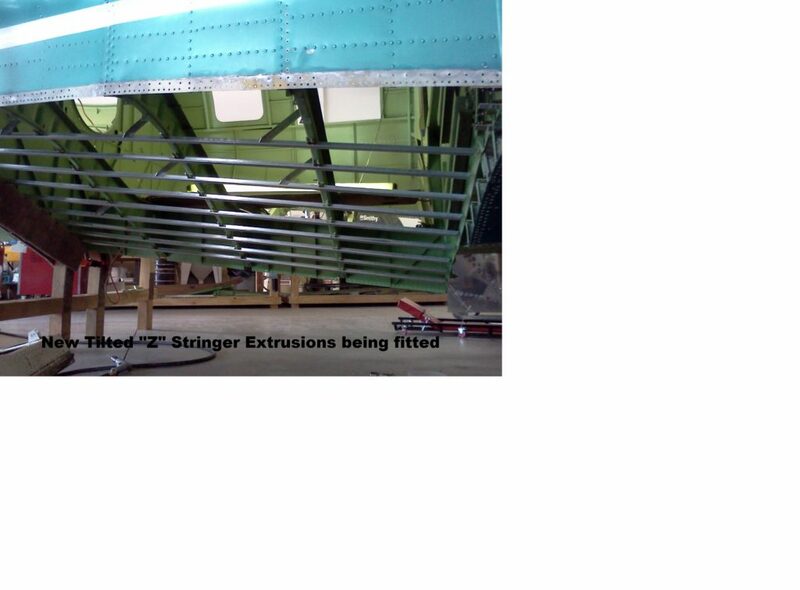 Fuselage floor structure metal framework has been installed with temporary wooden floor boards. 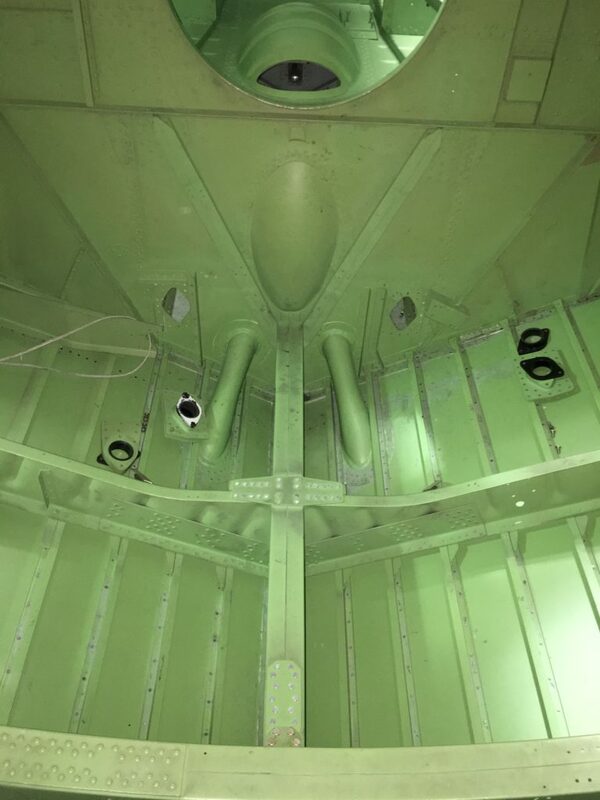 The Pilot and Co-Pilot seats are in place and other cockpit components are currently being installed. 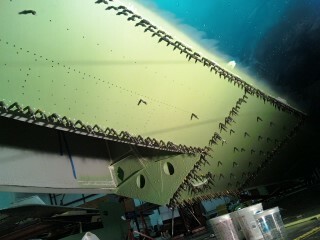 Fuel tanks are having the old sealant removed. 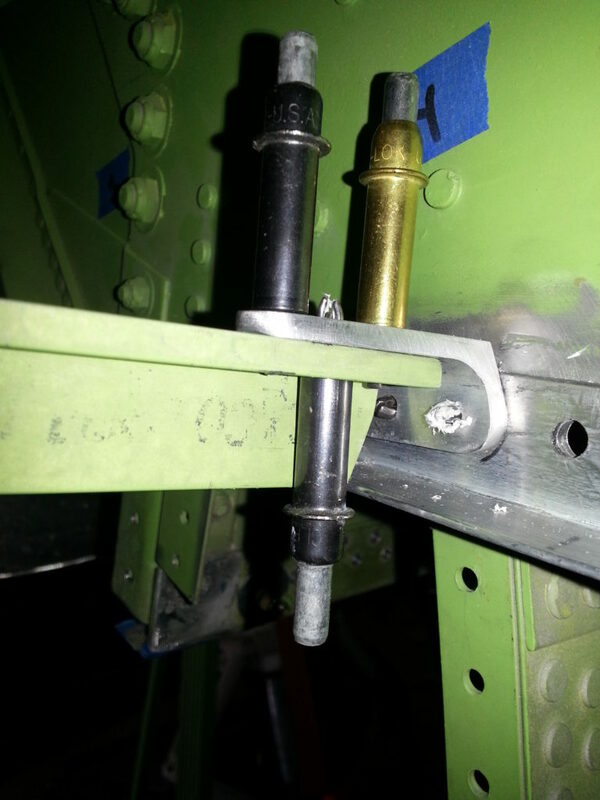 New nose gear door operating tubes have been manufactured and cadmium plated. 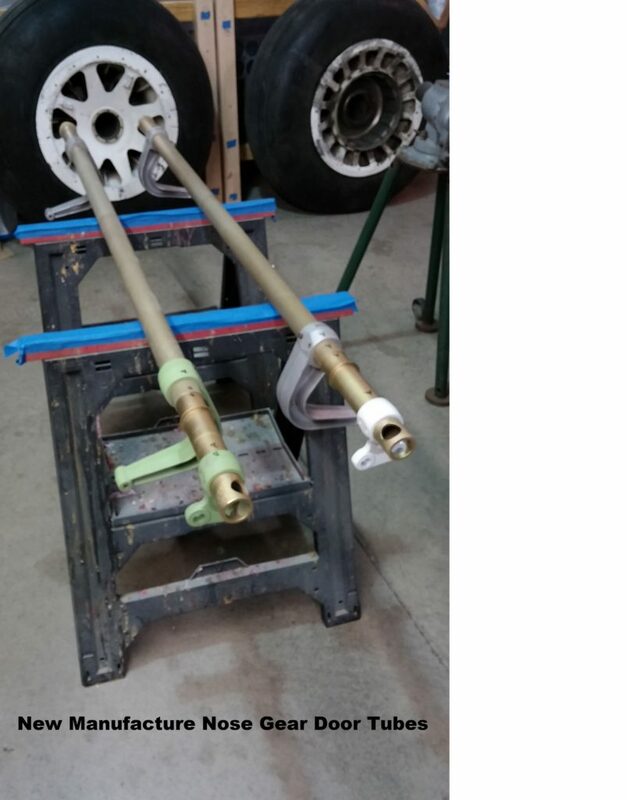 The nose landing gear strut has been rebuilt and is ready for installation. 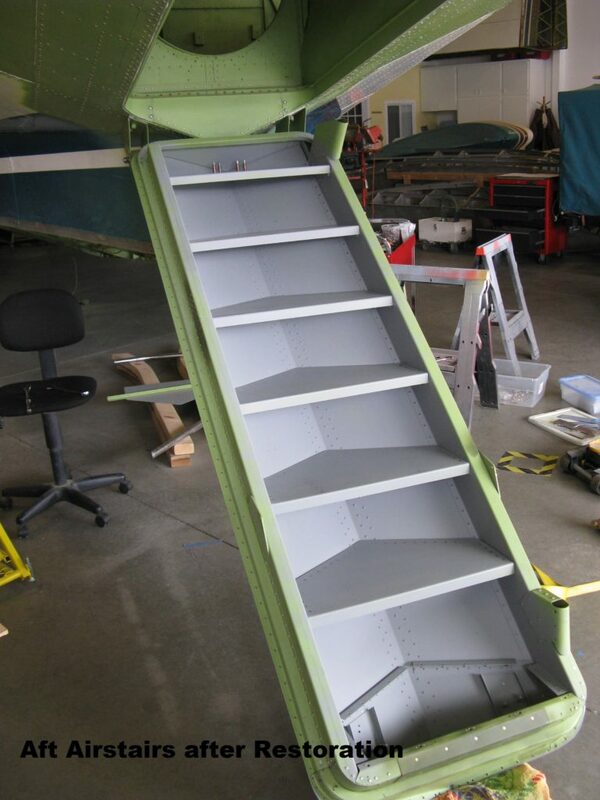 The airstair door and jamb assembly has been remanufactured with almost all new components. 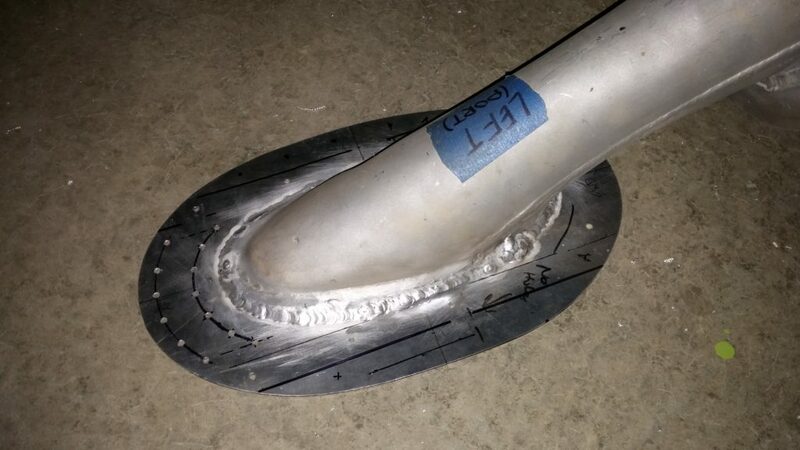 A new, full Blister has been manufactured and is awaiting installation. 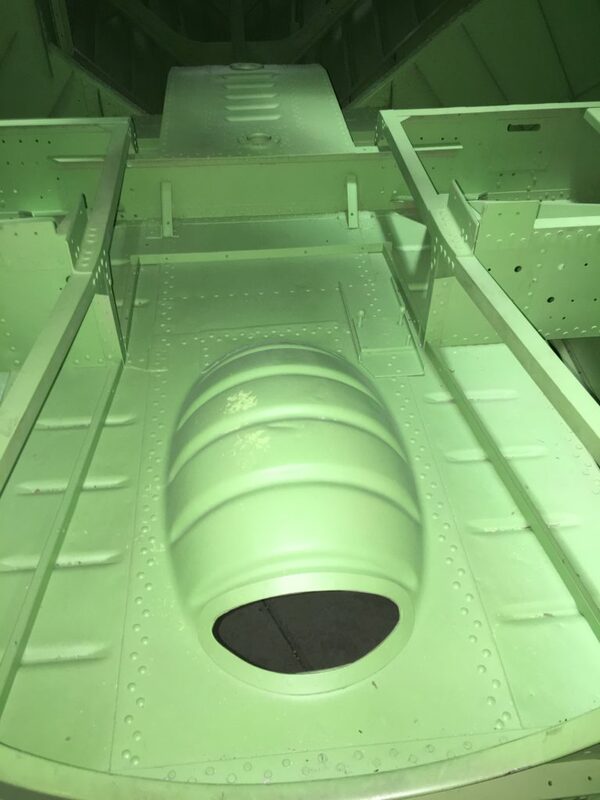 Some, but not all, items left to be accomplished are installation of aircraft wiring, manufacture and installation of new hydraulic tubing, overhaul and installation of hydraulic components, recovering of aircraft control surfaces with fabric and reinstallation and upgrade of the cabin furnishings. Over $1.2M USD has been spent to date on N5PY'S restoration. 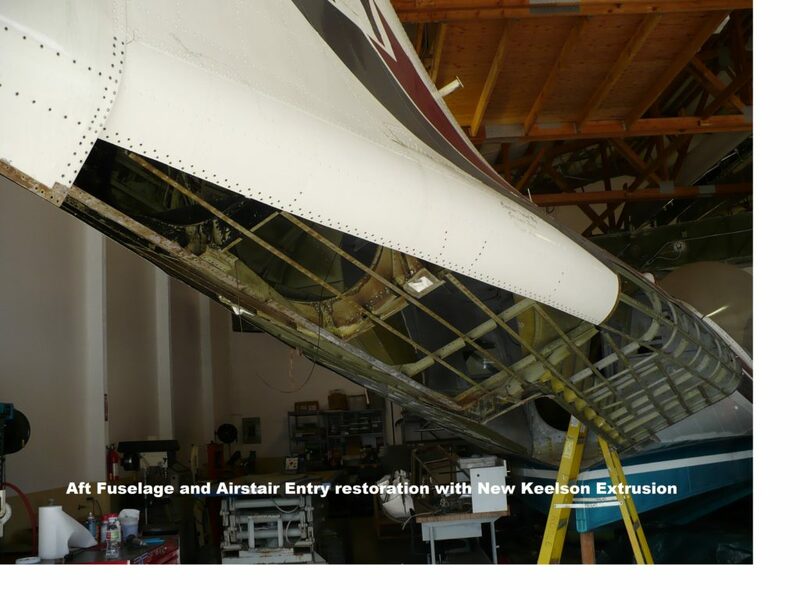 Aircraft Restoration Facility available for sale or lease. 60 X 60 hangar with office facility, restroom with shower, lights and Bi-fold door. Insulated and heated. Hangar and ground is owned outright. Condo association owns common grounds and taxiway. Restoration tools and equipment also available separately. 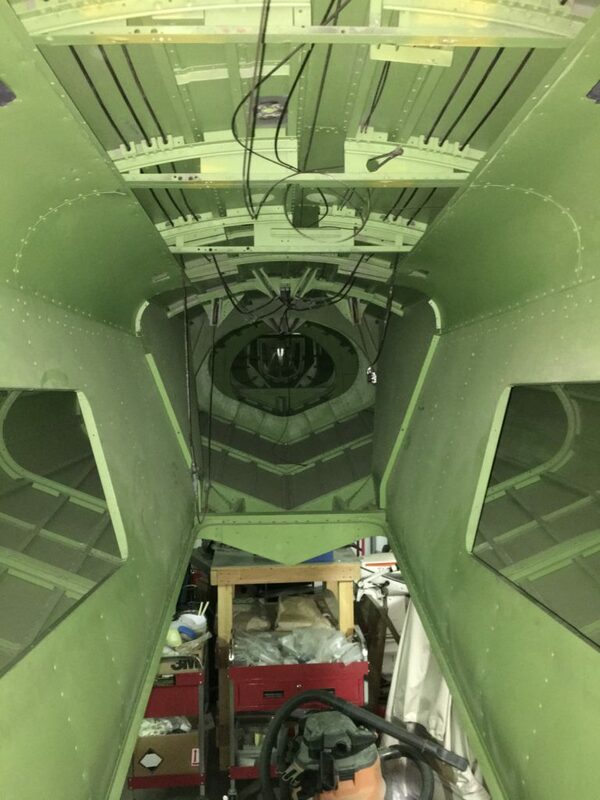 N5PY is the last surviving Standard Certificated PBY with the intact LandSeAire conversion, including the Airstair passenger door, under wing boat installation and Blisters. N5PY's pampered, Corporate use shows in her extremely low total time and the lack of dents and dings along the chine and hull. 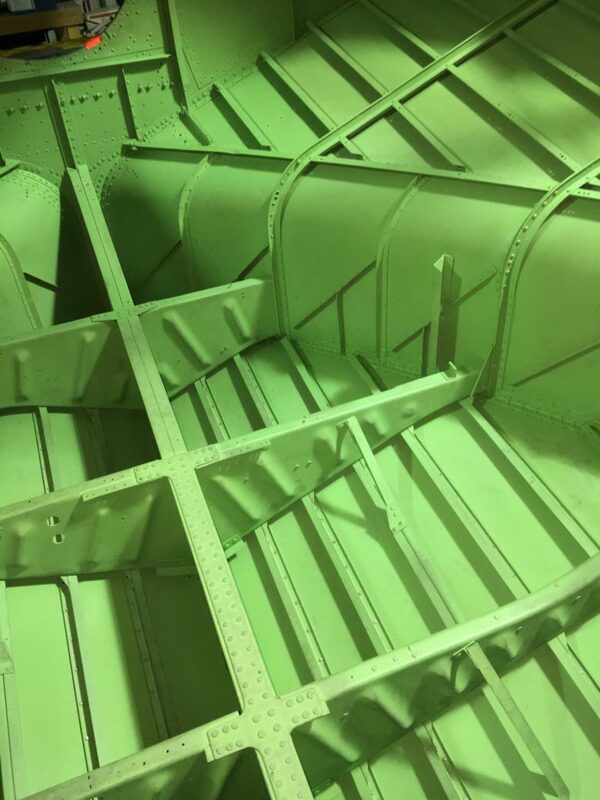 Not having been operated as a Water Bomber, N5PY does not show the extensive intergranular corrosion in the wing sections that is usually associated with the high metal fatigue cycles incurred during fire suppression operations. Be advised that non Standard Category certificated PBY's are greatly restricted from international operations without a waiver from each country visited. This includes all Restricted/Exhibition certified PBY-5A's and all but one PBY-6A that has a Standard Airworthiness Certificate (this PBY-6A is currently advertised for $5.0M USD).